From a 10 strong set of ‘Menagerie’ cards. A lovely confident-looking, strutting mother hen with pretty speckled markings. Designed, drawn and printed in Kent. Printed on a 300gsm, uncoated, Callisto pearl square greetings card. Cello wrapped with a Kaft brown fleck recycled envelope. Part of a series of cards. 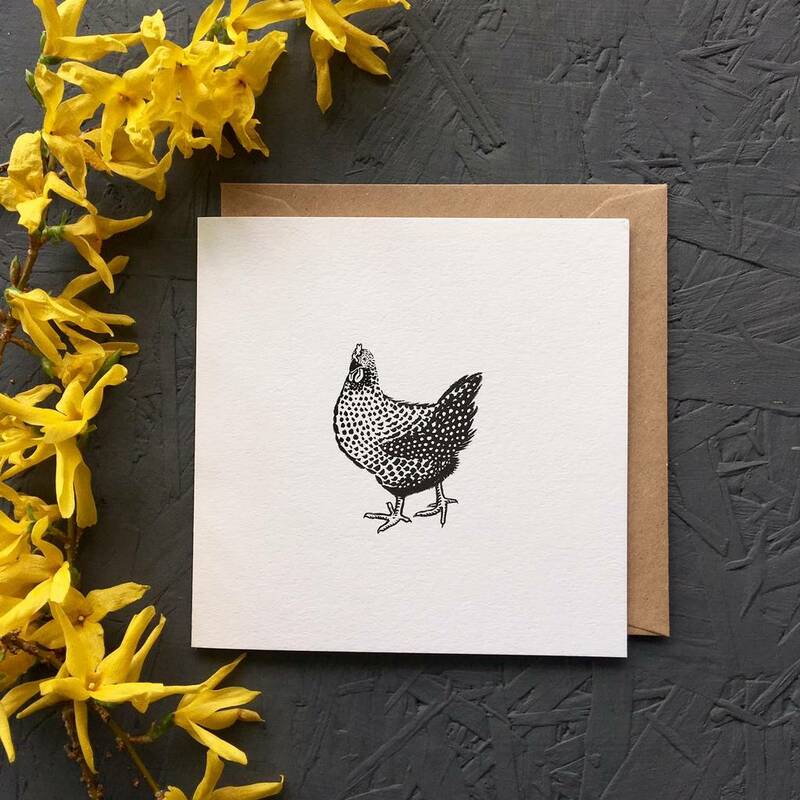 Need a card for someone who keeps hens? Loves all things henny? See the other 9 animals in the ‘Menagerie’ range, from foxes to fish.